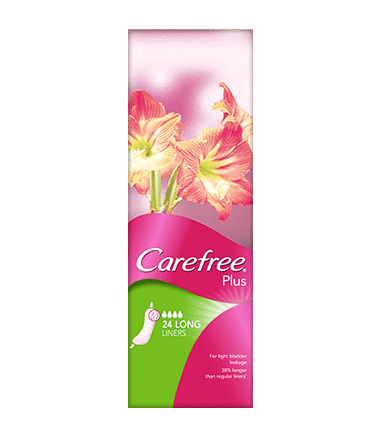 CAREFREE® Plus Long Liners are specifically designed for more regular Light Bladder Leakage (LBL). Providing the most protection within our LBL range, these liners absorb more fluid than a standard period liner* and the longer length adds even more protection. With a soft cottony cover and super absorbent core that locks fluid away, these liners give you discreet and comfy protection along with 12 hours of odour control, helping you to stay feeling fresh every day.